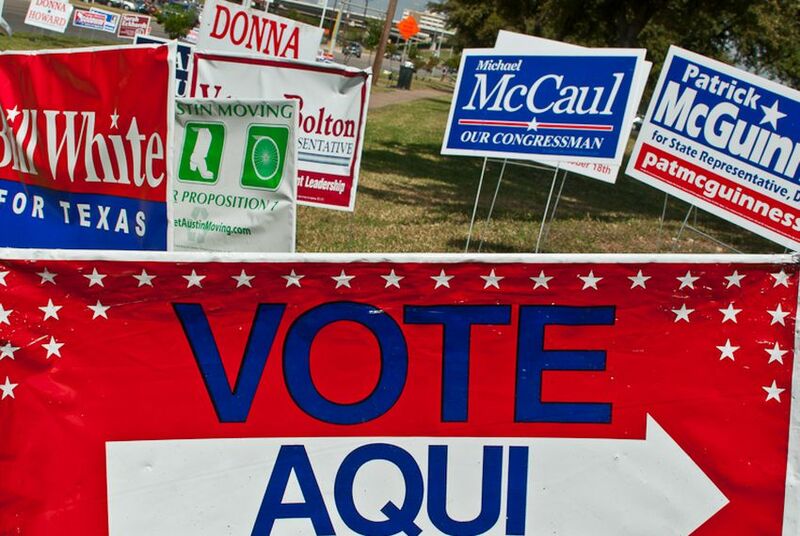 Republican analysts say that as Texas' Hispanic population continues to surge, its traditionally Democratic electorate is more and more up for grabs. “The Hispanic culture [is one] that is pro-life, pro-family, pro-free enterprise, [that] values hard work and has a value structure that fits very nicely with the Republican Party,” said Allen Blakemore, the owner of the Houston-based political strategy firm Blakemore & Associates. But Democrats caution against that assessment. They see the increasingly divisive battle over immigration as a dividing line that will keep Hispanics squarely in their corner. The debate was part of Monday's Texas Tribune "New Day Rising" event, which took a closer look at the 2010 census numbers that gave Texas Hispanics 38 percent of the state’s population. James Aldrete, director of Message Audience & Presentation, a political communications agency, said the Republican Party’s desire to conflate immigration and border security shows the party is sending mixed messages to Hispanics. “There is nothing about checking the immigration status of children at school that has to do with border security,” he said. The surging Hispanic population will mean less if these voters continue to ignore the issues at the polls, where turnout among Hispanics has been traditionally low. Panelist Beth Hernandez, the director of The Pivot Group Texas, said that could have more to do with the average age of Hispanic Texans than with voter apathy. “One of the reasons they don’t vote is that most of them aren’t old enough to,” she said. She added that strategists must come together to define exactly how the well of untapped voters will be reached. Democrats could lose ground if they fail to do that, she said. “It depends on if these seats are where the Hispanic population centers are," she said. Asked by audience members who the Hispanic “rising stars” in the Republican Party are, the panel named Texas Supreme Court Justice Eva Guzman; state Reps. Larry Gonzales, R-Round Rock, and Jose Aliseda, R-Beeville; former Texas Solicitor General and candidate for U.S. Senate Ted Cruz; and George P. Bush. One audience member said that with respect to Guzman, her unwillingness or inability to pronounce her last name in Spanish could hurt her, as several voters in South Texas have commented on the matter. State Rep. Rafael Anchia, D-Dallas; state Sen. Leticia Van de Putte, D-San Antonio; and San Antonio Mayor Julián Castro were also named as powerhouses in the Democratic Party.